The Magneto delivers huge clean hits with its ceramic coil. The wax melts on the first layer, then goes into the second layer to atomize. The hole on the side is designed for speeding up the vaping process. A superior design which sets the magneto apart. A perfect choice for strong, clean tasting vapor. The Magneto is the pinnacle wax pen for connoisseurs. 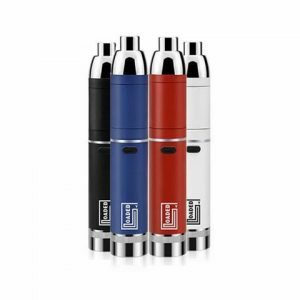 Instead of traditional thread connection, the Magneto introduces a modern vaporizer design with Magnetic Connection between the atomizer tube and base, saving your time. It is an evolution forward in wax vaping, improving all the ways that a vaporizer is used every day. Magnetic Coil Cap built with Dab Tool makes everything pretty easy. No extra dab tool needed, just use the bottom of the Magnetic Coil Cap as a Dab Tool to grab your wax, and put the Coil Cap back on. That’s it. Dabbing wax couldn’t be easier! 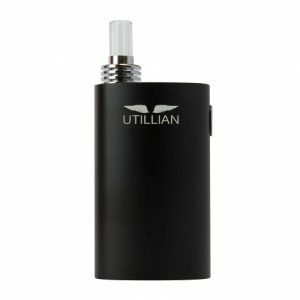 Small and discreet, fits in the palm of your hand, super compact and powerful with 1100mAh battery capacity. The power button is designed for ergonomics with smooth touch. Much easier to click the button. It also packs a 2ml non-stick silicone jar inside the base for all-in-one handling. Magneto meets all your concentrate dabbing needs.